On Monday, the 6th of September, MICA hosted a one-day Policy Workshop organized by Mr. Baijayant Jay Panda, Member of Parliament (LokSabha),from Kendrapara, Odisha. 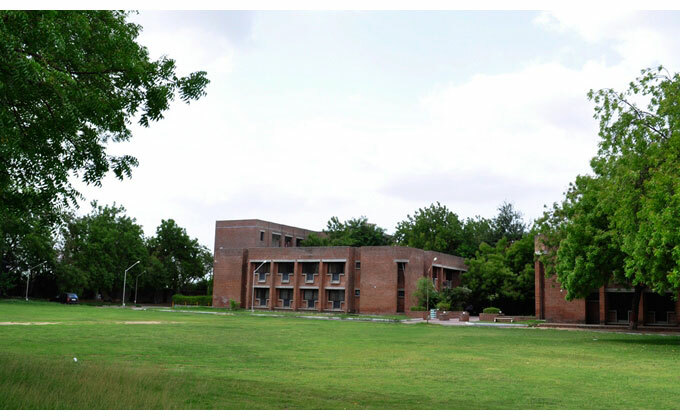 The event was facilitated and brought to MICA by Professor U.T.Rao, Faculty, MICA Ahmedabad. In a one-of-its kind initiative to increase outreach and engagement with the youth, the one day event was attended by students from IRMA, IIT-Gandhinagar, IIM-A, PDPU and DAIICT apart from enthusiastic participation from MICA students and several faculty members. The workshop started at 10 in the morning with an opening address by Mr. Panda wherein he described the purpose of this apolitical initiative. The aim of the workshop was to provide a platform to citizens to develop an understanding of important policy issues, the role of a Member of Parliament, opportunities in the field of public policy and means to engage with their representatives to champion issues that citizens are passionate about.The pilot workshop had been first conducted at the YWCA of Delhi, and was the first of its kind initiative by a Member of Parliament in India.After Delhi, the workshops have already been conducted in Bhubaneswar (at XIMB), Mohali (at ISB), Pune (at MIT-SOG) and Bangalore. Monday’s workshop in MICA saw around 160 applicants, out of which 94 bright and promising entries with keen interest in politics and policy-making were selected after careful consideration and more than 80 of them attended the event. The cohort was a heterogeneous group of individuals from diverse backgrounds such as humanities, law, management consulting and engineering, but with a passion for understanding nuances in public policy. The day was divided into six sessions, dealing with several aspects of governance and public policy and the role of citizens in shaping them. Some of the sessions were conducted by members of the policy team at the office of Jay Panda, including one on the Structure of the Indian Constitution and the distribution of power top-down. A session by Iravati Damale, Consultant, National Institute of Public Finance and Policy laid the ground work for the workshop, by discussing tools to engage in parliament, drive reform and need to increase interaction between citizens and their political representatives. Yashita Jhurani, Associate, Interel Consulting, spoke about the role of the MP, his/her powers, the nature of his/her work and about tapping Government and Private initiatives. At 15.30, there was a guest lecture by Mr. Nikhil Dey, Social Activist and Co-Convener of the National Campaign for People’s Right to Information (NCPRI). Having been a part of people’s organizations putting together “peoples drafts” of Right to Information and Employment Guarantee Bills, Mr. Dey, a champion of free speech in the country, spoke about communication and the need for transparency in the Government. Through the day, the workshop touched upon a variety of pertinent topics, like Niti Ayog and its agenda, functions of several parts of the governments, the true face of reforms and the role of youth in shaping the Government. Mr. Panda addressed the audience on the highly loaded topic of Institutional and Systemic Reforms, putting forth his views on Electoral, Judiciary and Parliamentary reforms and their ultimate effectiveness. The workshop was a free of cost, registration-based event, specifically designed for professionals and senior students who are vocal about their views on policy issues and wish to engage with the system.